Trafalgar Wharf: FANTASTIC CATAMARAN STORAGE!! 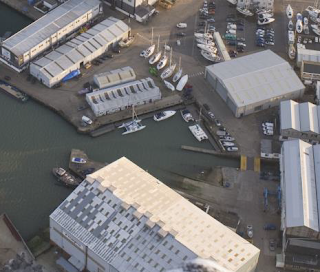 Trafalgar Wharf, situated on the Solent at the top end of Portsmouth Harbour, are offering ideal storage for catamarans on our tidal pontoon berths that rise and fall with the tide. Access to the sea is approximately 3 hours either side of high tide. HARRY WON OUR FACEBOOK COMPETITION!